Cell Stress emerges as a peer-reviewed publishing platform for high-impact research. 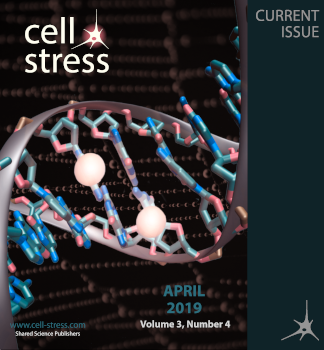 Cell Stress publishes articles of extraordinary novelty and significance, including research papers and reviews that cover heterogenous topics in the field of cellular pathophysiology. Cell Stress is an open access online journal that thus allows its readership and general public around the world to read, download, store, distribute or print any article free of charge. At the same time, our open access policy ensures fast publication as well as high visibility and broad divulgence of the author’s published research. By pursuing an open access approach and the universal accessibility to scientific knowledge, we support the return to one of the essential values of science: the free exchange of ideas. Cell Stress has gathered leading scientists in manifold areas to form an exceptional and interdisciplinary editorial board that ensures the quality of pieces accepted for publication. The selection of editors reflects Cell Stress' goal to publish high-impact research covering a wide range of topics. Thus, our editorial board consists of a heterogenous and broad group of researchers whose expertise range from the unicellular to the mammalian field. Please, take some time to meet our editorial board.